Would you say that you are truly living it like you’re golden? Stop to do an examination of every area of your life, because if there is one deficiency in one area, it will affect other areas. Before I decided to give business another try after failing so many times, I was emotionally, mentally and physically deficient. This resulted in self-inflicted issues, issues that could have been avoided. It’s important to be well-rounded in all areas because it can affect your self-confidence, your self-worth, and your self-esteem. It was only when I decided that I needed a change did I do something about it. As I reflect back over my life, I realize that the very thing hold me back was ME. You definitely can’t drink from an empty cup, so today, I challenge you to take a deep look inside of yourself and ask are you living your life like it’s golden spiritually, physically, mentally, emotionally, socially, and financially? Everything we do it tied together and the best way to move forward is to ask for help. Having a life coach in every area of my life was definitely what helped shaped me into the woman I have become today and because of it, I am now certified to do the same, teaching others how to redefine, reaffirm and rebuild their mess into their masterpiece. Preserve your mental, emotional, physical peace. 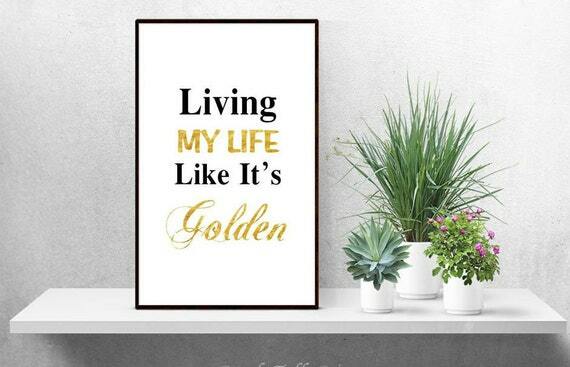 Live Your Life Like It’s Golden, Girl!